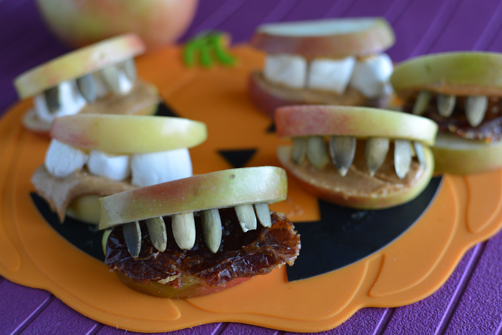 Today’s feed your skull a snack brings yet another Halloween idea! These apple monster mouths have been floating around the internet just as long as the banana ghosts. I’ve made them both now. Pats own back. 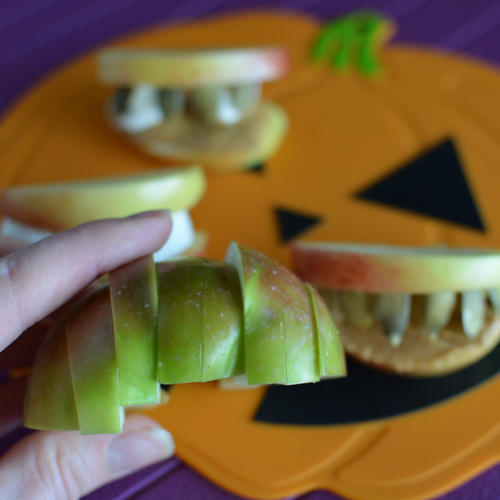 If you use pumpkin seeds (pepitas) for some truly gruesome monster teeth, it helps to carve out a curved line in the apple slice. Pumpkin seeds are a little delicate but with a pre-carved line they’ll slide right in. It helps to cut the apple straight versus an angle. If they’re angled they won’t sit right once you stack the teeth. 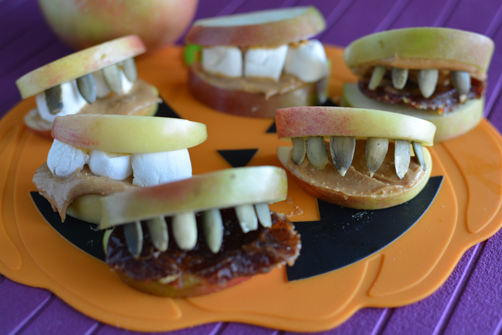 Place peanut butter or date on an apple slice, top with marshmallows. Take second apple slice and insert pumpkin seed teeth. Place on top of first apple slice and viola! Don't want to make a monster mouth? 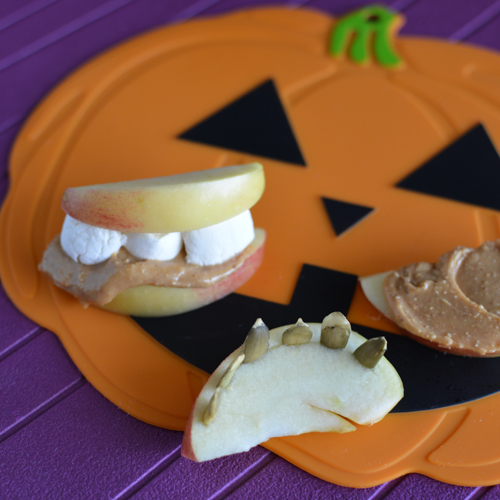 Add apple slices to plastic container along with a dollop of peanut butter, a few marshmallows and pumpkin seeds—just dip and stick. I used to LOVE to be scared of this movie. Even though there were only 2 bathroom scenes in the movie, I had an abnormal fear of sitting on the toilet and getting up to find a clown face. I recently rewatched this movie and was sad to find that it wasn’t as scary/good as I remembered it. 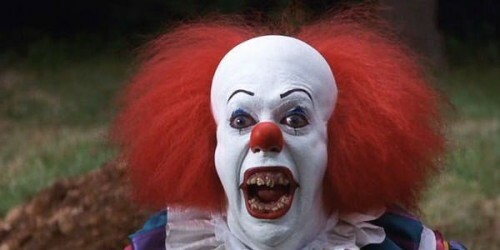 I still hate clowns though. 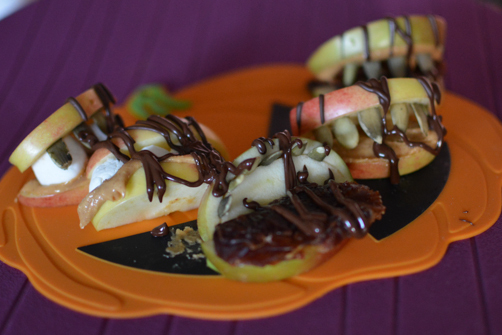 If you make these the same day you make the chocolate spider webs, throw a few drizzles of chocolate on them. Chocolate is good on everything. If you have access to the vegan marshmallows, they are such a fun treat to indulge in. I made rice krispies and saved a few marshmallows to make the monster mouths. The Dandies brand is great because it doesn’t have gelatin aka animal hooves and they are delicious!